With all the talk of educating kids with a strong focus on Science, Technology, Engineering and Math (STEM), parents, teachers and policy makers are realizing it actually takes STEAM to make the world go round. The added “A” is for art. Fibre-Craft, makers of arts and crafts supplies since the ‘50s, introduces three $12.99 kits – Zoo 2 Do, Creative Fun Tote and Paper Pals -- that spur imaginations beyond math problems and coding. 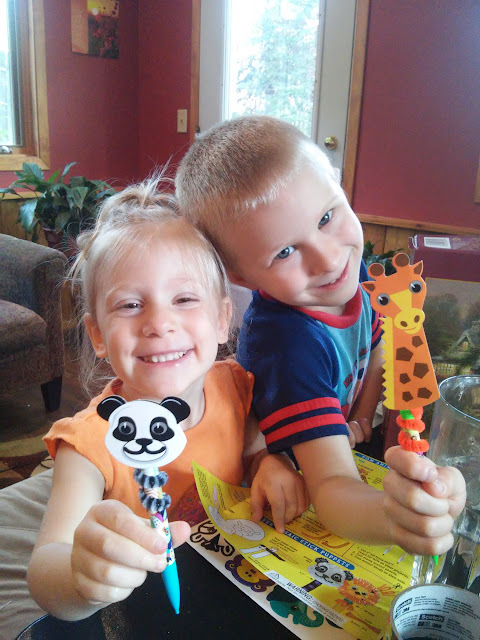 Kids ages 6 and up still enjoy being kids and working with old-fashioned glue and scissors to make their own creations. Each tote-able kit from Fibre-Craft’s Creative Hands label opens up a world of let’s-build-this, without instructions or rules. These crafts can be made at the kitchen table, outdoors at a picnic, or with best friends at a slumber party. Best of all, it’s educational; so says prestigious Education Week. All the animals in the zoo are jumping up and down for you! 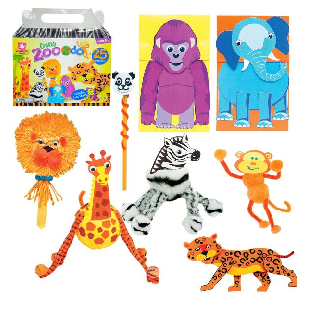 This Zoo 2 Do kit with the tote-able handle features monkey, giraffe, lion, zebra and others for a total of 25 zoo-themed projects. 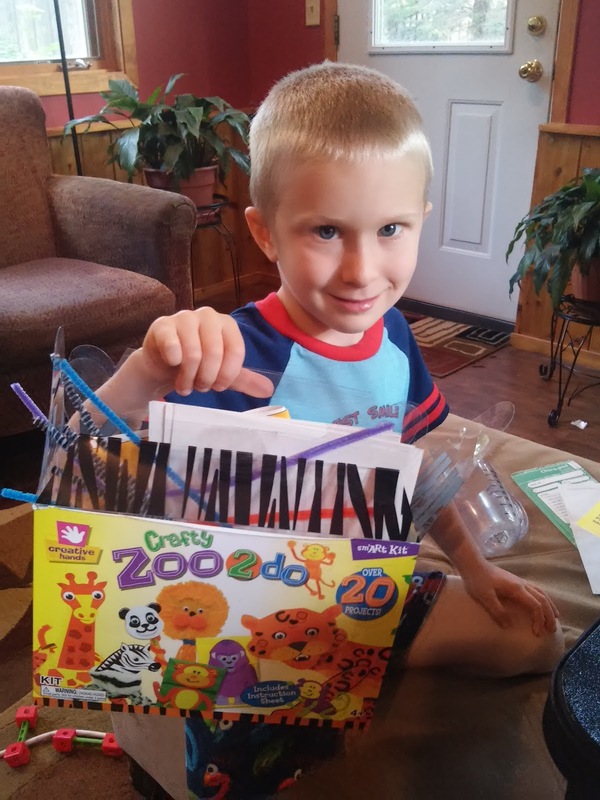 My children LOVE animals, zoos and crafts so when they saw this craft kit, their eyes lit up and they got super excited to let their imagination create some awesome crafts with this kit! 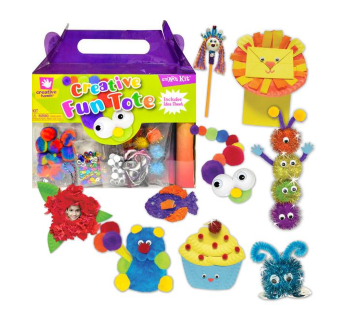 Rainy days are ideal for this overflowing box of craft pieces that can be transformed into animals, cupcakes, bugs, pencil toppers and whatever the imagination can conjure. Kids can follow the enclosed project sheet or personalize with their own wacky ideas. Art is in the eye of the beholder! My son LOVES this kit and loves all the little accessory pieces that are included that he doesn't normally have in his craft drawers. 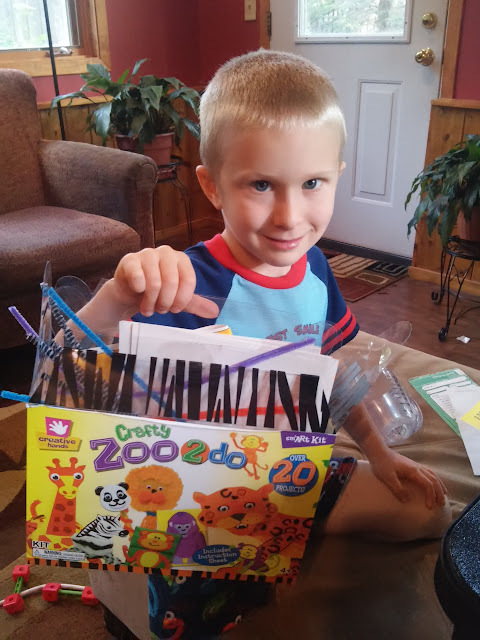 He has been making crafts non-stop since opening this one up! Even kids will allergies will adore these pretty flowers and friendly bugs that are tucked inside. 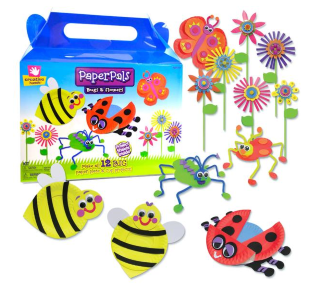 Paper Pals is a kit that starts with paper plates and paper cups and this tote-able kit makes 12 big projects. A project sheet is included to start kids off. The final results are totally up to them! This kit is the perfect craft and art idea for kids that may be getting bored this summer! They will have endless craft opportunities with everything included! I don't know how many hours a day my children spend doing crafts and they never tire of them! They have been in heaven using these craft kits and I love that they can either follow the project sheets or come up with unique crafts with their imaginations! This is the perfect idea for all children this summer! You can purchase Fibre-Craft's popular Creative Hands™ label in craft stores. 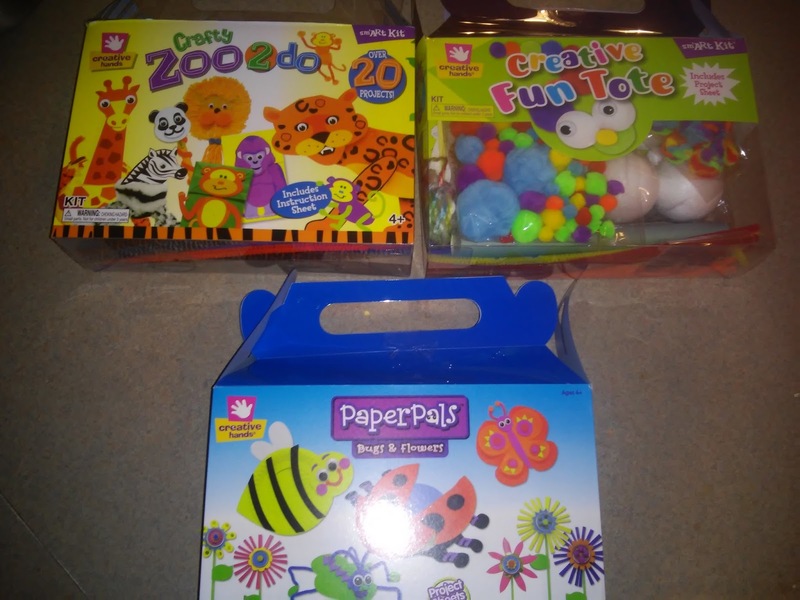 Fibre-Craft is generously offering all three craft kits ( Zoo 2 Do, Creative Fun Tote and Paper Pals) (MSRP total value $38.97) to a lucky winner! Voted today on Top Mommy Blogs. Forgot to add to widget! I entered the Justin's products giveaway. I entered the Mamma Chia's products giveaway.